As an experienced Licensing Service Provider for our partners, we are experienced in helping our clients get value through license acquisition and ensuring compliance. We provide these services across Multiple OEMs. We are also able to help our customers procure and manage their hardware asset to ensure they get value for their investments. 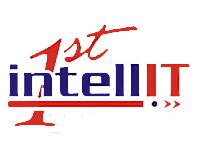 Contact us at INTELLIT office nearest to you or submit a business inquiry online.